Domaine de l'Île au Canot - One of the most unique hunting experiences! 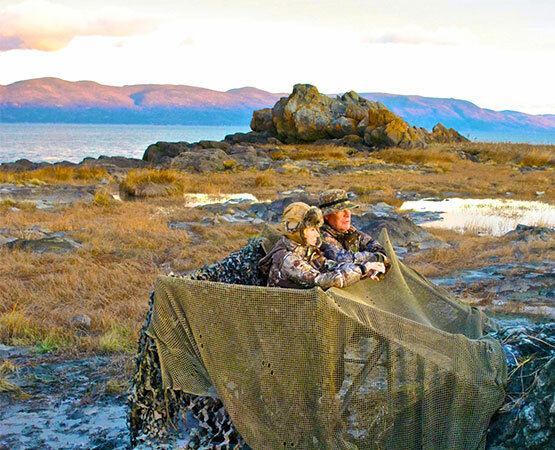 Île au Canot is a private resort offering some of the best snow goose hunting in the world. It is one of the 21 islands located in the heart of the migratory bird sanctuary in the Isle-aux-Grues archipelago. 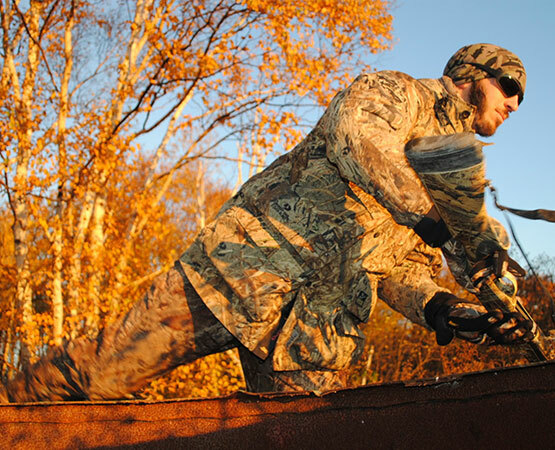 Camouflaged in a blind along the banks of the river, your decoys dispersed along the shoreline, watch and wait as thousands of snow geese that stop every fall along the tidelands of the Saint Lawrence take to flight, offering an extraordinary hunting experience! The south-east tidelands, close to the northern tidelands of Île-aux-Grues, are the primary feeding ground of migrating snow geese. Dotted with small bays, perfect cover for black, mallard and pintail ducks that come to take shelter each year, Île-au-Canot is the perfect place for hunting migratory birds. On board a yacht, you’ll get access to prime locations that are perfect for this type of hunting. Come enjoy hunting with the family or between friends. A dream location in the heart of nature and the Saint Lawrence for the most exhilarating duck hunting of your life. You’ll appreciate the tranquility of the place and the beauty of the landscapes. Pheasant hunting is offered as an additional activity to fill in the parts of the day less favourable for hunting geese or duck. It is organised by zone so as not to disrupt the other types of hunting. 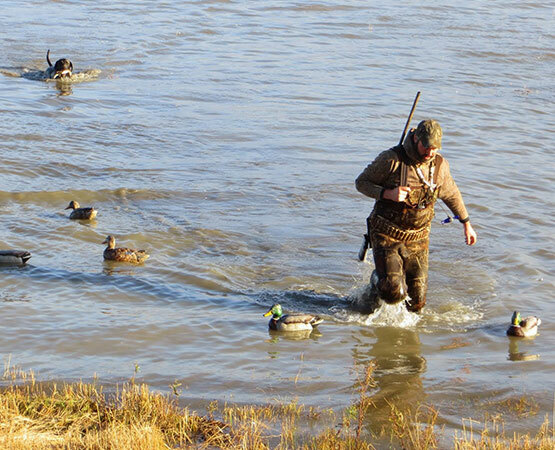 Each group of 3 to 4 hunters is accompanied by a guide and a hunting dog. An activity combining challenge, ability and fun, all in an enchanting natural surrounding in the middle of the Saint Lawrence River!